A few weeks ago I got together with the beautiful Aleksandra from Jeliza-Rose blog. 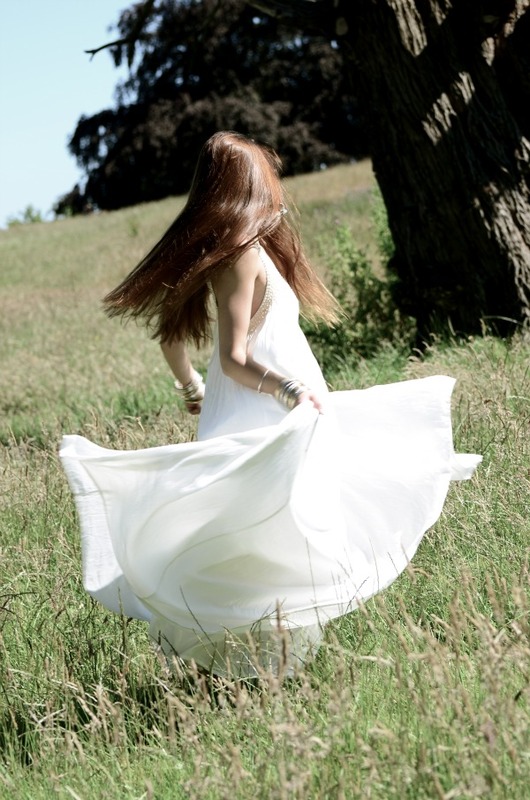 We spent a few hours at Hampstead Heath and it was a ridiculously hot day but we went ahead with the shoot anyway. I wish we started shooting a bit later in the day because the sun was very strong and the photos ended up with very harsh shadows. Aleksandra styled this shoot and picked this gorgeous dress from Monsoon and the jewellery from Topshop. I really struggled with post-production for this shoot (as I still dont use Photoshop). The originals were very rich in colour and I felt like it was a bit much. After playing around with the hues and colours for a while I ended up with this. Why is her face always the same? that strange smile.. i like all the work made by a photographer: the place, he look, the style of the images BUT the model isn't actually a model. You can imagine so many poses and face in this situation but she just danced. 1, 2, 3 photos, but on the 5 i think it becomes awful..
@ a-svergun - thank you for the constructive criticism. the model in this shoot is actually another blogger who kindly agreed to pose for me. I sort of feel responsible for the poses because it is the photographer who gives directions to the model.